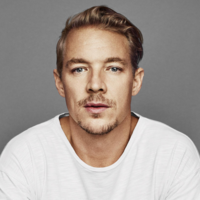 Thomas Wesley Pentz (born November 10, 1978 (1978-11-10) (age 32), better known by his stage name Diplo, is a Philadelphia-based American DJ, producer, and songwriter. Together with DJ Low Budget, he runs Hollertronix, a club and music collective. He also founded and manages record company Mad Decent, as well as the not for profit organization Heaps Decent. Among other jobs, Pentz has worked as a school teacher in Philadelphia. During his rise to notability, Diplo worked with British musician M.I.A., an artist who is credited with helping expose him in his early career. Later, Pentz and fellow M.I.A. producer Switch created a Jamaican dancehall project titled Major Lazer. Since then, Diplo has worked on production and mixtape projects with many other notable pop artists. Pentz's alias, short for Diplodocus, derives from his childhood fascination with dinosaurs.